While the OnePlus 6T announcement is just around the corner, a render of the OPPO R19 has leaked out. If you are unfamiliar with the design of the OnePlus 6T, just take a look at the OPPO R17 or R17 Pro. Since OnePlus, OPPO, and Vivo are subsidiaries belonging to BBK Electronics, it is no surprise that these brands will be using nearly the same design belonging to those different subsidiaries. With the OPPO R19, we might get a closer look at what the OnePlus 7 will look like, so check out this render and be the judge. Thanks to Ice Universe, a popular leakster on both Weibo and Twitter, an image has been shared of what the upcoming OPPO R19 will look like. If you put the OnePlus 6T and OPPO R17 renders close to one another, apart from the color differences, there is hardly any other cosmetic changes that you will be able to find, except for the removal of the 3.5mm audio jack. That being said, the OnePlus 7 could also sport the same appearance and we will be talking about that right now. Looking at the OPPO R19, it brings the manufacturer one step closer to achieving that 100 percent screen-to-body ratio. There is a very tiny chin bezel and instead of adopting a teardrop notch, there is a tiny circular hole present on the top of the display that is completely separated from the edges of the device. This will obviously house the front-facing camera, and at the back, you can see a dual-snapper setup. We are guessing that this is due to the device being the non-Pro version so perhaps when the OPPO R19 Pro gets launched, we’ll be seeing a triple camera at the back of the handset. The smartphone will also be using an OLED screen which is why there is an in-display fingerprint sensor present. We’re not sure if OPPO is going to be sticking to an optical in-display fingerprint reader or will it switch to the more advanced ultrasonic variant. Our guess is that this device will be marketed as a mid-range handset with top-notch hardware, such as a Snapdragon 710. 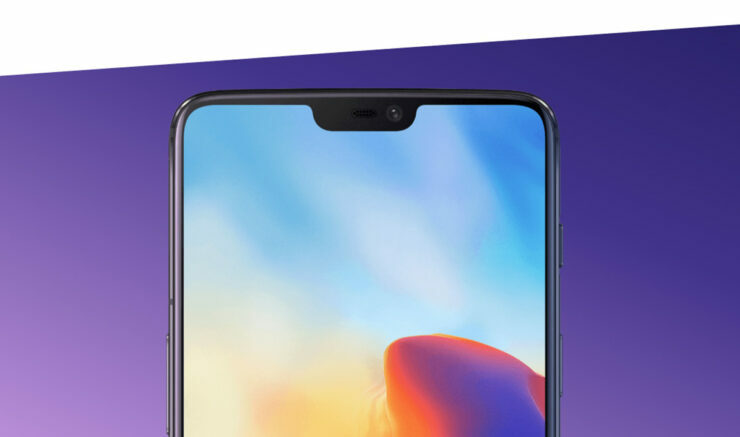 We also strongly believe that the OnePlus 7 will have an appearance like this, given its past design choices. What do you think? 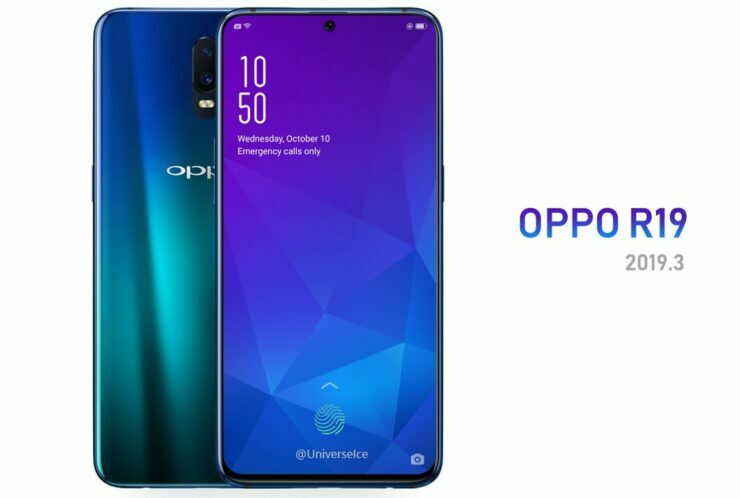 Do you think the OnePlus 7 will look similar to the OPPO R19? Tell us your thoughts down in the comments.